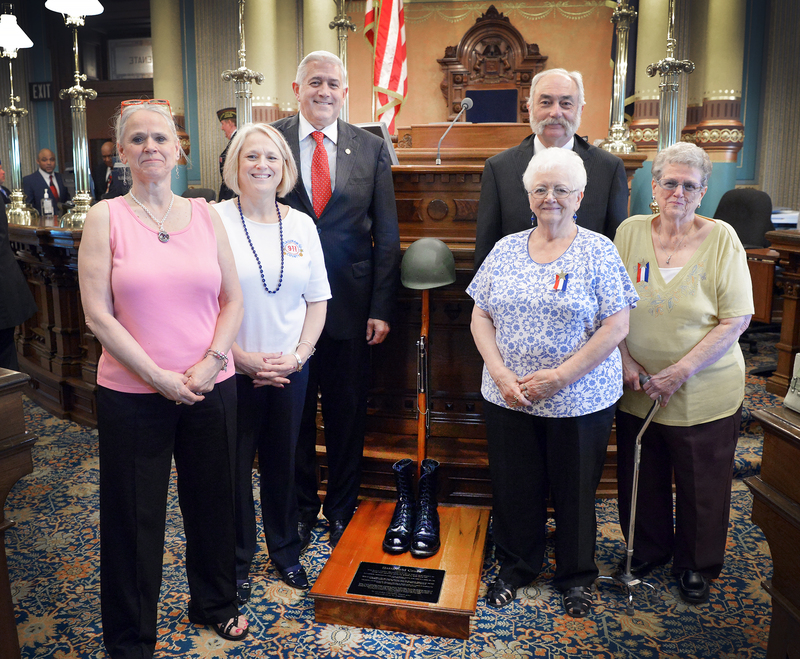 LANSING, Mich. — State Sen. Ken Horn, R-Frankenmuth, welcomed the family of Civil War soldier Alvah Nichols to the Michigan Capitol for the Michigan Senate’s 22nd Annual Memorial Day Service on Thursday. 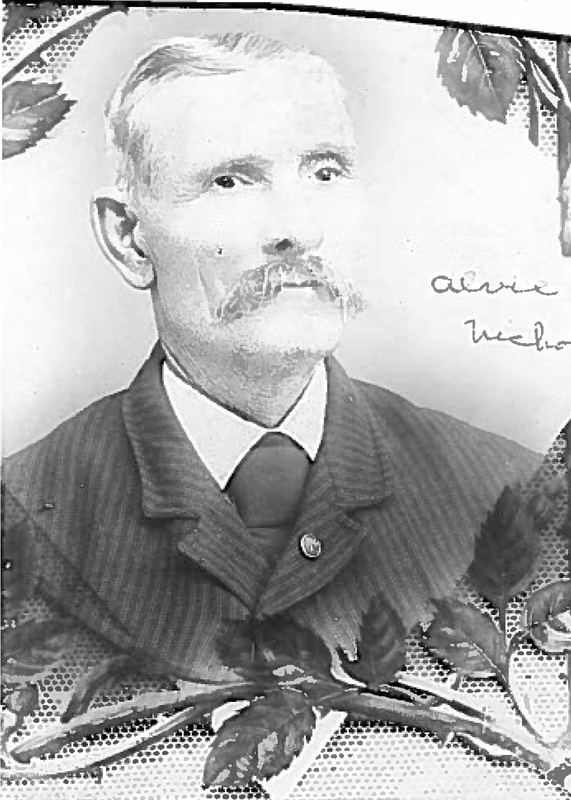 Nichols was born in 1832 in the state of New York and enlisted in the 9th New York Heavy Artillery in December of 1863. During his time in the service, Nichols was involved in several well-known Civil War battles, including Harper’s Ferry, the Second Battle of Bull Run, Gettysburg, and Cold Harbor. After having fought in 13 total battles, Nichols was honorably discharged in 1865 due to several health issues. 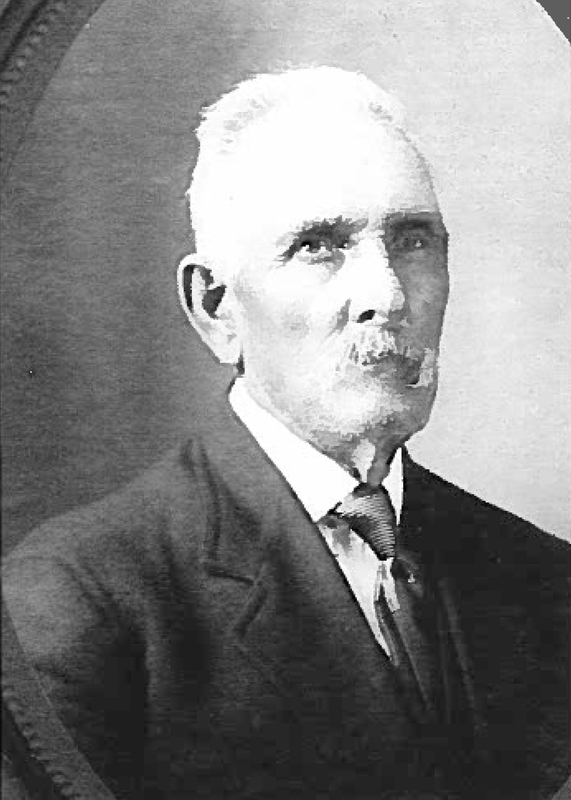 After he was discharged, Nichols traveled to Michigan to start a new life — eventually settling in the St. Charles area where he died at the age of 82 in 1914. Nichols is buried at the East Cemetery in St. Charles. PHOTO CAPTION ONE: Self-portrait signed by Nichols. PHOTO CAPTION TWO: Portrait of Nichols. PHOTO CAPTION THREE: State Sen. Ken Horn, R-Frankenmuth, stands for a photo on the Senate floor with his guests for the Michigan Senate’s 22nd Annual Memorial Day Service on Thursday. Pictured from left to right: Cathy Harris, Vickie Stuart, Sen. Horn, Robert Joseph Boquette, Shirley Louchart and Phyllis Hoseit.